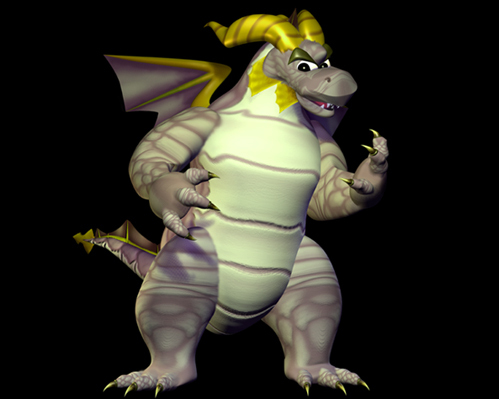 To be honest, I think the graphics for Spyro is quite good, I can see him much better than he was in Spyro: Season ice. Moneybags is a bit small though. What do you think? Yuck! I just realised this wasn't the Ripto quest one! I mean't Ripto quest. THE GRAPHICS ARE HORRIBLE! It's an old mobile phone game, and you're expecting PS1 graphics? I wasn't expecting PS1 graphics *long pause* More like PS3 grapchis, yeah!!! The graphics are the least of anyone's worries.